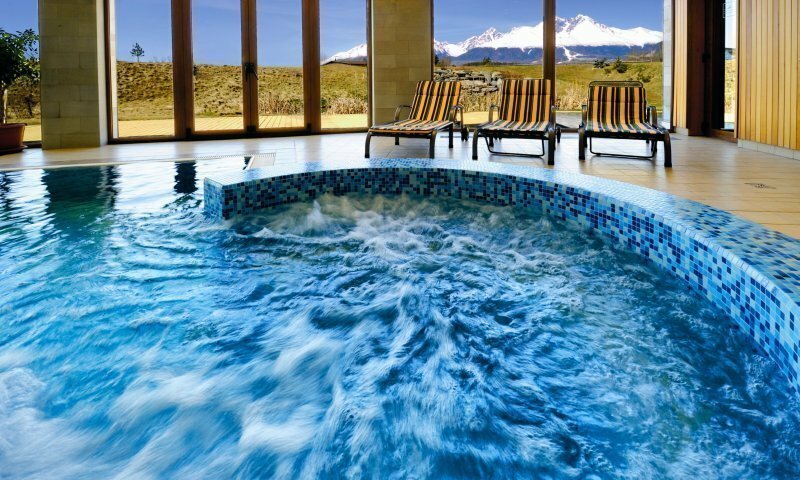 Wellness 3-days stay for 2 persons. The Hotel International**** is part of the golf resort in Veľká Lomnica, offering quality and wideranging services all year round but not exclusively for golfers. Elegant, stylish and situated directly on the golf course to create this unique hotel. The construction itself was designed to embrace the surrounding countryside and stunning location. Hotel International was opened after 10 months of construction on July 1, 2005. 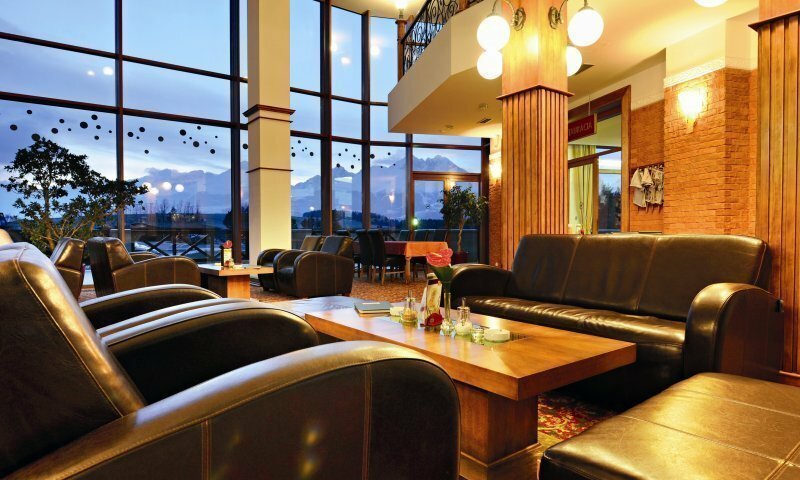 Wonderful views of the Tatra peaks can be admired from almost everywhere: from the spacious lobby bar with fireplace, the gallery with small library, the restaurant, the summer terrace, the hotel rooms, conference centre and also from the pool and leisure areas. For its guests the hotel has prepared 28 elegantly furnished double rooms and 1 apartment. 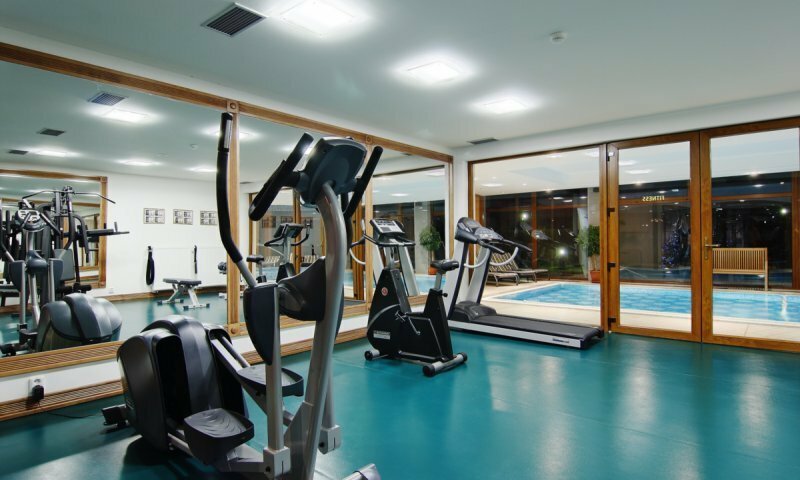 The hotel is situated 14 km from Poprad airport, 40 km from the Polish border and just 7 km from the ski slopes and hiking trails of Tatranská Lomnica. The combination of the golf course and other amenities on offer creates the ideal sport/relaxing centre in the foothills of the High Tatras. Professional services and the appealing environment afford impeccable conditions for social events, conferences, seminars and corporate training days. 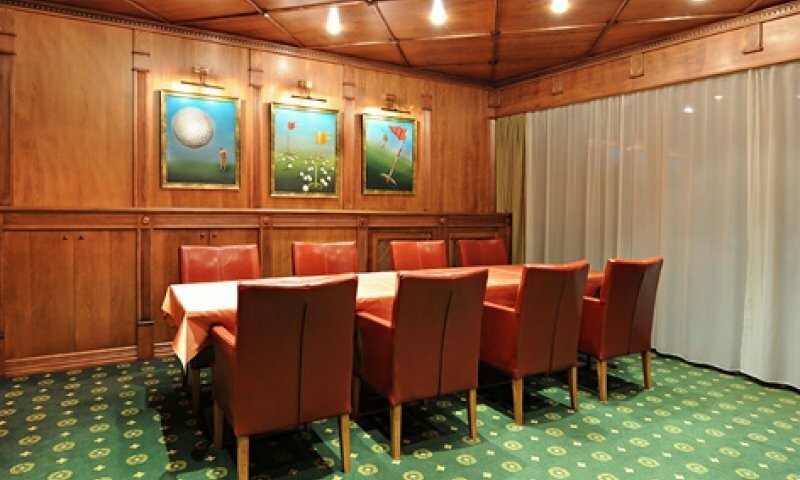 The conference room can accommodate up to 60 people, with the indoor bar having a capacity of 80 and the VIP room of 10. The hire of the conference area includes projector, screen, flip-chart and conference guide for each participant. A sound system can be arranged on request. 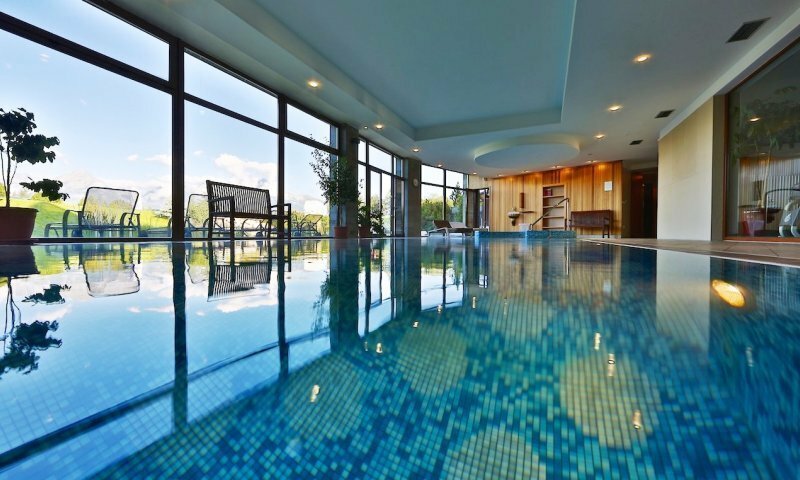 Guests enjoy a generous buffet style breakfast, free internet access, free secure car parking, unlimited entry to the wellness centre including indoor and outdoor pools with contraflow and jacuzzi, steam, dry, infra saunas and gymnasium. Lunch, dinner or refreshments during the day can be chosen from either the set or extensive a la carte menu. All children under 12 years are charged from EUR 30 per night for extra beds. All further older children or adults are charged from EUR 35 per night for extra beds. Any type of extra bed or child's cot/crib is upon request and needs to be confirmed by management. Prices are without breakfast. Pets are allowed on request for a fee of 15 EUR/night. This policy lays down the rules of processing and protecting personal data which users submit in order to use services provided by Hotel International**** Velká Lomnica website (hereinafter referred to as "Website"). The controller of personal data processed on the Website is GOLF INTERNATIONAL, s.r.o., Tatranská 754, 059 52, Velľká Lomnica, entered into the Business Register under TIN: SK2020017890 (hereinafter referred to as "Controller"). In order to exercise his/her rights as indicated in point 8 above, the Website's user should contact the Controller via e-mail international@golfinter.sk using the same e-mail address or telephone number which he/she sent to the Website.